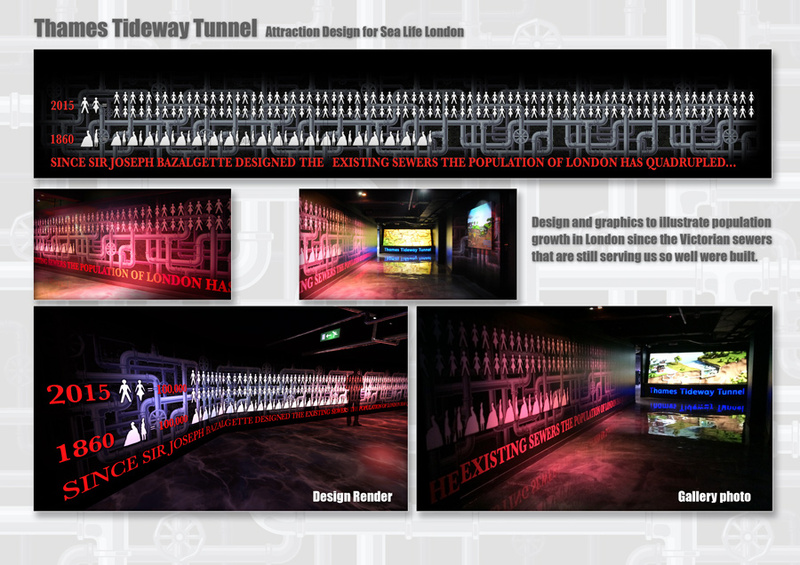 create a new exhibition about the Thames Tideway Tunnel which I was delighted to be invited to design. 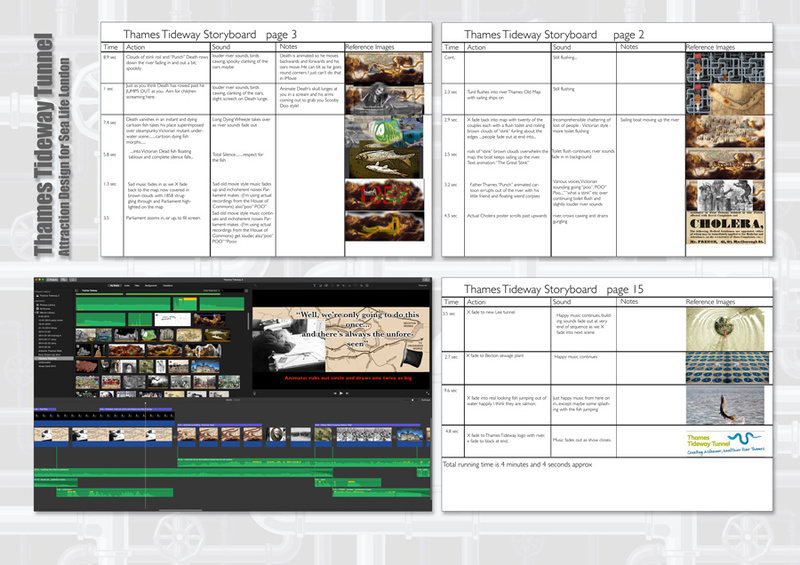 exposition in an engaging manner. 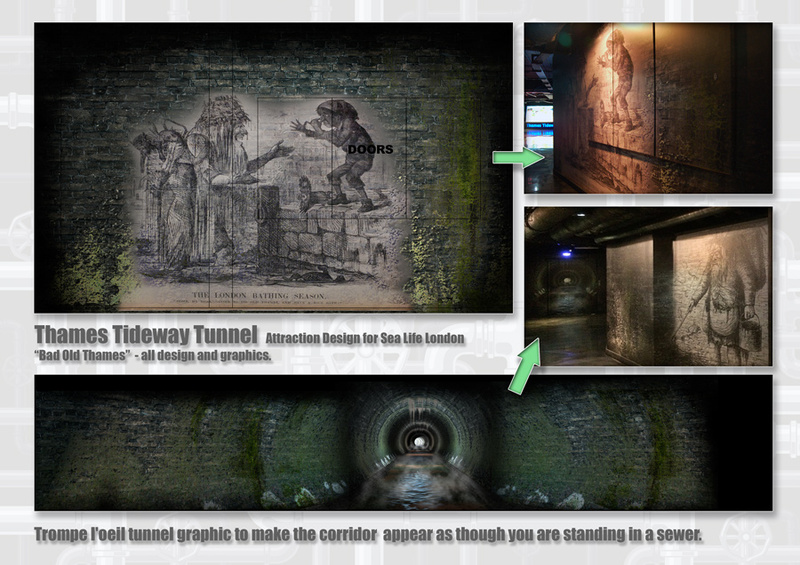 The Galleries start in the "Bad Old Thames" area, graphic representations of a pre Bazalgette London sewer with contemporary political cartoons from Punch to illustrate the problems. 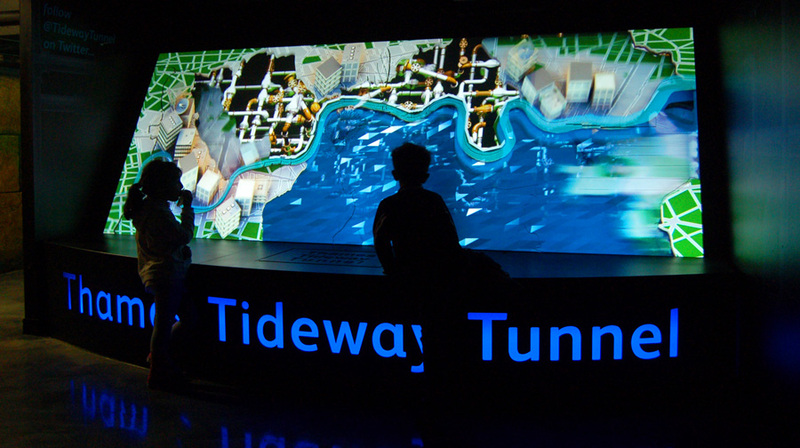 Guests walk under pipes with a dripping water soundscape - passing a screen illustrating the three month journey of refuse in the Thame's tides, a graphic illustrating the population growth of London, and before and after illustrations of Thames Tideways' very elegant solution to the problem. 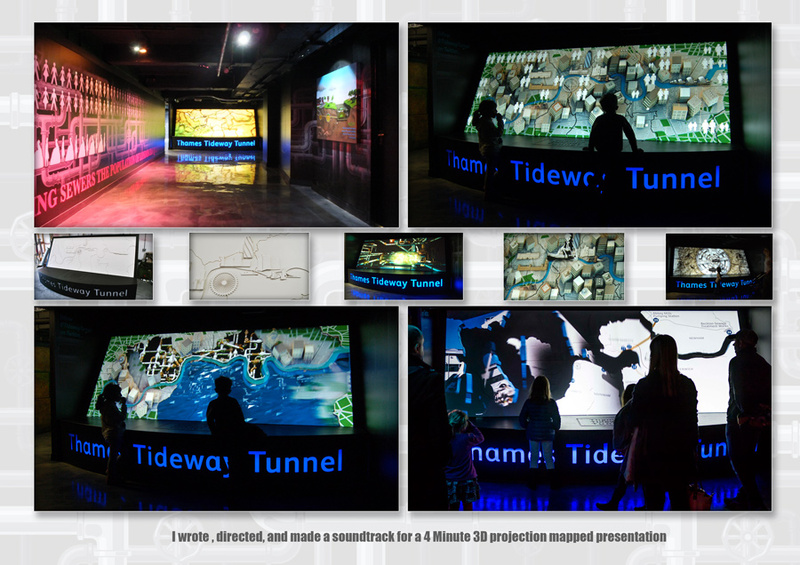 Finally, guests fetch up at the presentation telling the whole complex story of London's sewers. 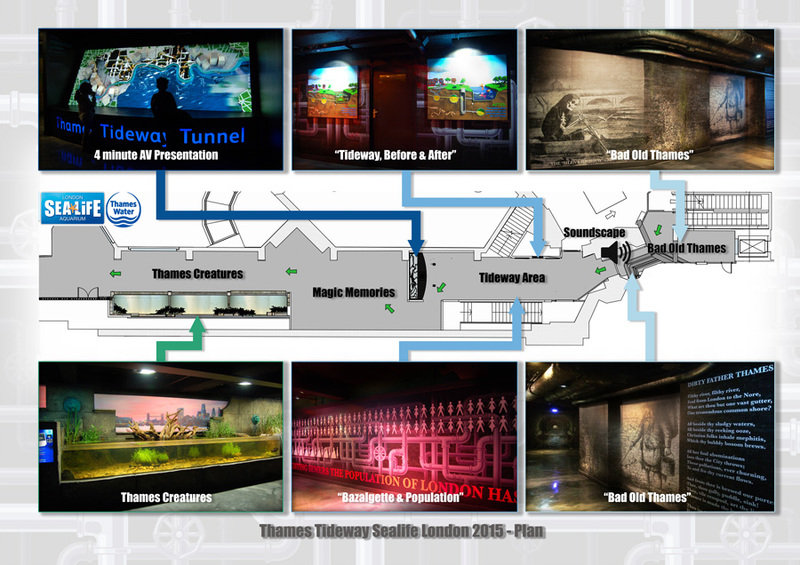 works and telling the story of the the "Bad Old Thames" before Bazalgette built the sewers that are still fully in operation now. 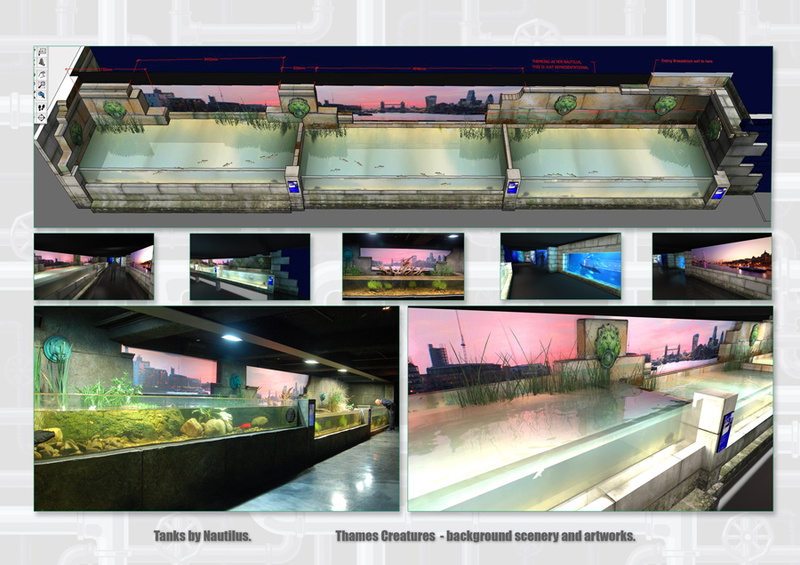 Further into the galleries are tanks of types of fish that can be found in the Thames with a backdrop of a sunset by Tower Bridge.